Take your music and video collection with you on the road. Whether it is stored on CDs, DVDs, a USB device or on the latest iPhones, the AVH-A205BT plays audio/video from almost any source. Bought this head unit with the reverse camera included, works great & fantastic value! Works great, Frankie's has best price. I replaced the old single din with this unit in t 30 xtrail. Fits well. But make sure you fit av wire to the brown plug. ( R, cin) not the yellow plug. Hard to read in booklet. I bought else where because I had a credit from the crappy parkmate reverse cam / dash cam unit . This works great. 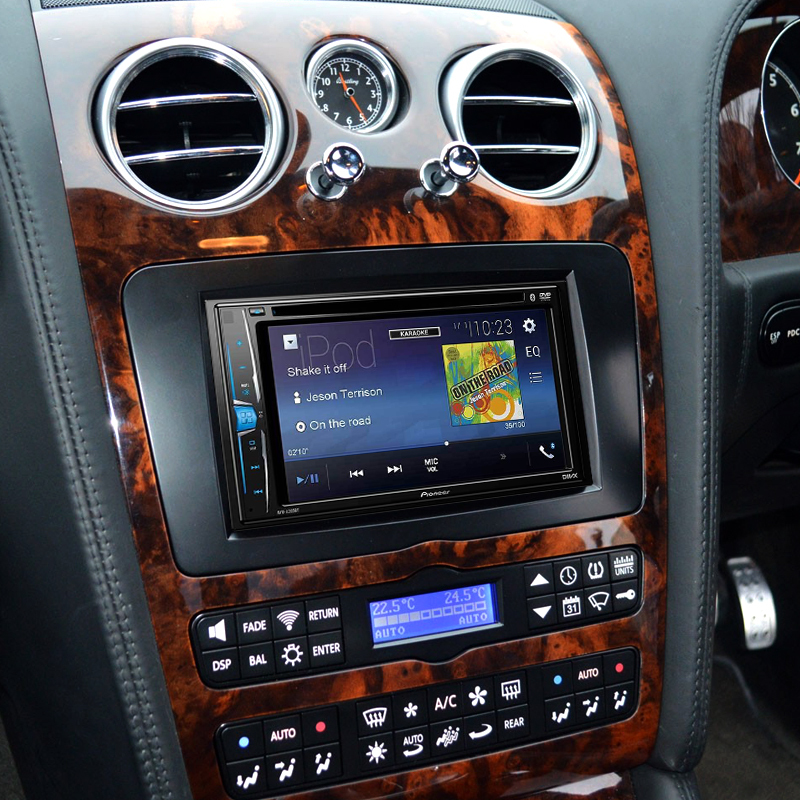 This is a good entry level double din which has all the features you would need without android auto and apple car play. Good value with free reversing camera which works well. Bluetooth works great with no problems syncing contacts and music, brry pleased. Great service by Frankie’s. I bought this item with reverse camera. Very happy with the purchase. Awesome product at this price. Don't think too much, just buy it. In addition, it has a free camera which is quite good offer at this price. I am satisfied with this product. The price as usual was best at Frankie’s and the DVD unit is awesome. Display seems better than the Sony I have on my other vehicle and the 10 (or 12) band graphic equaliser is great. If I had to find a fault I’d say it’s the lack of remote control but it’s no big deal. My only regret is I didn’t get 2 of these - should have got this instead of the Sony for my other vehicle. You won’t be disappointed with this unit. More than happy with the quality of this unit. Easy to set up and operate. Bluetooth phone quality is good. Audio quality is good as you would expect from Pioneer. The only niggle is I wish LCD screen manufacturers and Optical companies would coordinate. I have to turn my head vertically 45 deg to see the screen when wearing prescription polaroid sunnies. Great unit especially at this price! Install was reasonably easy and sounds great. Postage was quick and cheap.Would recommend.